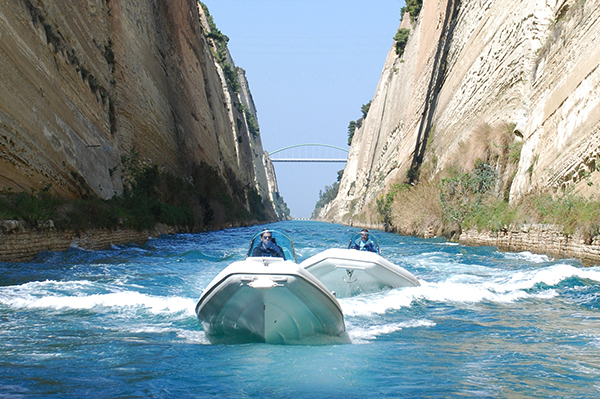 Rent a Rib is a company engaged in the rental of rib boats in Greece. The purpose of our company is to offer clients the experience, with absolute safety, a journey with a ribbed boat through the Greek seas. Our sole concern is the preparation and delivery of the boats. Rent a Rib for the ninth consecutive year a fully equipped and ultramodern fleet of rib boats for rental which is continually updated. This is due to the staff’s extensive experience and credibility at the parent company, Parking Perasma (www.parkingperasma.gr) which continually has a driving force the love of the sea. Provided that you’re a licensed rib boat operator, our company offers a wide variety of rib boats covering all needs and preferences. Our aim is to provide solutions and fulfill the needs of clients of all ages in an area covering the whole Greek region. The company is formed by the owner of “Perasma”, co-owner of “Rent a Rib”, Mr. Panagiotis Vasileiadis . At the same time, the company employs a large number of qualified personnel specifically trained and ready to provide every requirement and service. Rib boats have been proven to be the safest and easiest to use for transportation and recreation on the Greek seas. They are able to travel in any kind of weather and reach even the shallowest bays and beaches. “Rent a Rib” is situated in the south-east area of Athens, in a place called Lakka Anavissos, in a distance of only 300 meters from the coast, co-existing in an estate of 27,000 square meters with the parent company Parking Perasma .